This time lifehack was originally posted at blooom.com/blog under Brent’s pen. Seven or more hours of sleep per night? That’s what the National Sleep Foundation recommends for adults. A half an hour of exercise each day? Those are numbers from the Department of Health and Human Services. One hour to eat per day – says who? The USDA, that’s who. 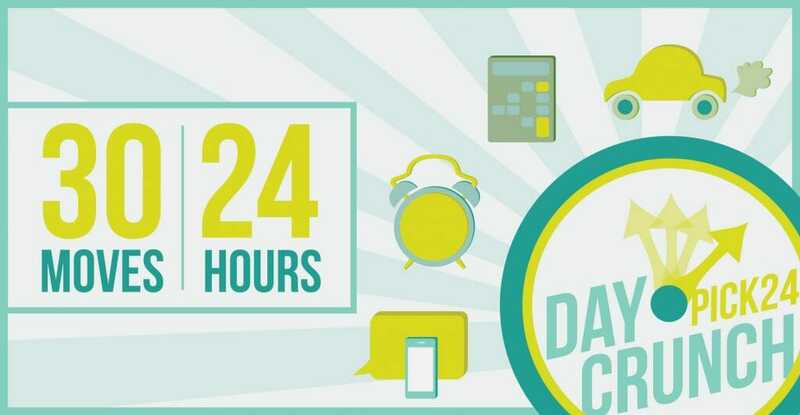 With so many things to do in life, we decided to crunch all the numbers of what the experts “recommend” you do in a 24-hour period — and the total adds up to 30 hours in this nifty time infographic! Well, that’s life for you: 30 hours of steps to perform in 24 hours of moves. See how we can free up a move for you! Kari’s a 37-year-old single mom with two kids: Jasper, who’s 8, and is always playing baseball; and Cassie, a 4-year-old who enjoys finger painting butterflies. Kari works full-time at a local department store, and loves picking up her kids from school after work. Once they’re all home, Kari feeds the kiddos, helps them with their homework, puts them to bed, and finally makes sure everything is all set for the next day. After that, she decides to spend some time before bed researching 401ks and financial planning. But 10 minutes into her research, she falls asleep. Her 24 hours are up, but the time infographic says she has six more things to do. Sound familiar? At this point, you’re thinking the same thing as Kari: How in the world can I get all this done? Life is a tough game. We all have hectic schedules and can relate. We’re not positive whether you can lifehack your way to all 30 moves. But we do know one thing — a managed 401k account is one lifehack you can play to get closer. So … what is a managed account?